Mill+ directors Alex Maxwell and Westley Sarokin joined forces with digital experience design agency Critical Mass and Nissan to create a 360 Virtual Reality experience to demonstrate the advanced smart technology of the 2019 Nissan Altima. 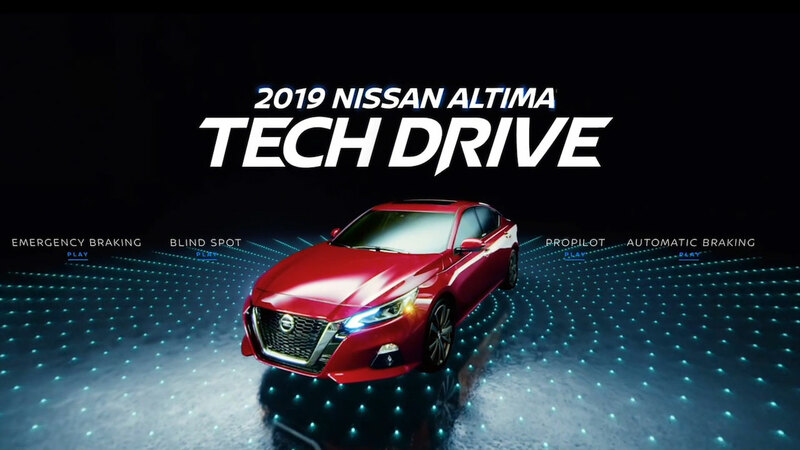 Nissan's 'Tech Drive' experience allows users to take the driver's seat, along with their co-pilot AJ, while testing Nissan's innovative Intelligent Mobility and Safety Shield 360. Displaying the innovation of Nissan, meant innovating throughout the production process. To explain the technology inside the VR experience, AJ, the host and brand ambassador for Nissan, guides the user through the Nissan world by altering time to show certain moments in slow-motion and rewind, explaining how Nissan’s safety features kick into gear. On set, The Mill+ team captured an average of ten plates per shot, that were seamlessly combined and enhanced in post to create a 360-degree view of the action. The experience, delivered through Oculus Go headsets, places the driver in real-life risky driving situations with authentic visuals, all shot live. The team utilized a specially designed camera rig, developed to expertly capture 360 content, before The Mill's VFX team used a variety of tools and techniques to tie the visuals together, creating an impactful and realistic experience that leaves a long-lasting impression on the user and truly demonstrates the innovative abilities of the 2019 Nissan Altima. Drawing the viewer through the story and creating seamless transitions was a huge visual effects component of this job. The most notable effects included holographic lidar scans that transported the viewer to the Nissan world. The VFX team carefully created a holographic replica of each building, car and person, resulting in an elegant beam effect.